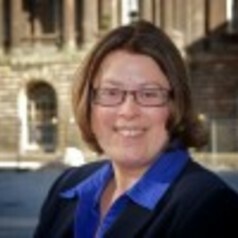 Paula Keaveney is a Lecturer in Public Relations and Politics. A former journalist and PR professional, her research interests include political communications, public affairs and PR and marketing in the charity sector. She is the co author of a text book on charity marketing and guest editor of Behind the Spin, an on-line publication for PR students and young practitioners. She has the module leader responsibilities for modules on the news media and media relations, on PR Campaigns, on writing skills, on work placements, on career development in the PR industry, on crisis management and on event management as well as sharing responsibility for modules on political communications and Public Relations dissertations. Paula is also responsible for the minor route in politics at the University and teaches Political Communication as well as basic UK and US Politics. She is also module leader on the Public Relations module in the MA in Marketing Communications.